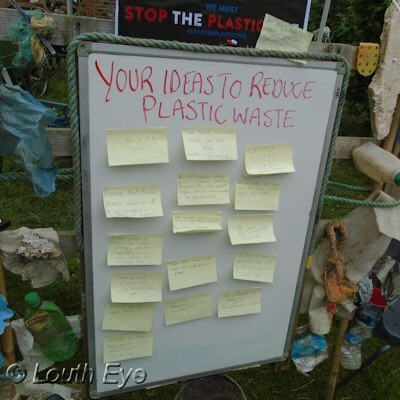 Low Carbon Louth created a display with ideas for reducing plastic pollution as part of a campaigning event to improve the marine environment. 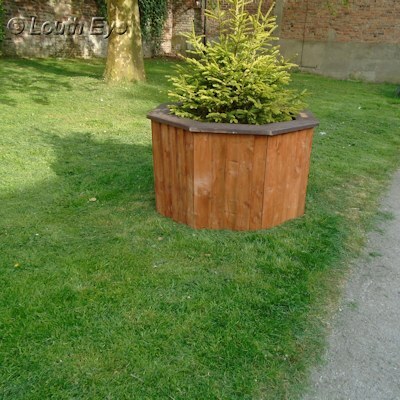 The Louth Mens Shed built planter covers for the two planters on Kidgate. 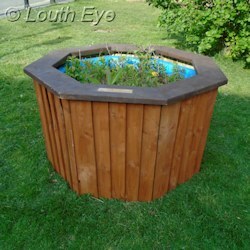 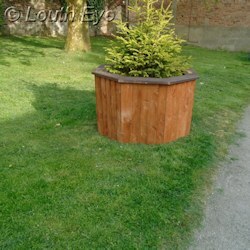 One of the Kidgate planters with a surround built by The Louth Mens Shed. 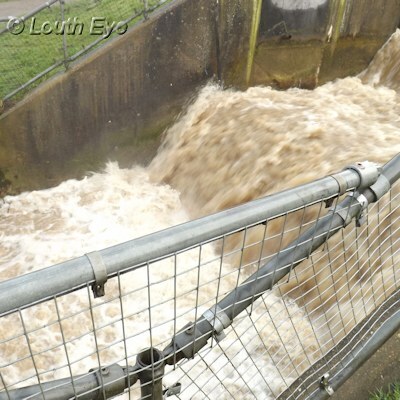 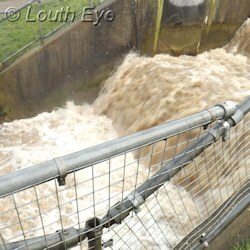 Heavy rain caused the water level of the canal to rise on 2nd April. 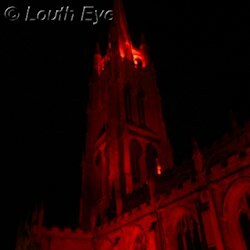 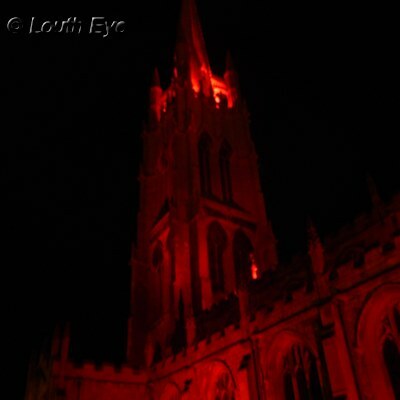 St James Church was lit up red to raise awareness of mental health issues. 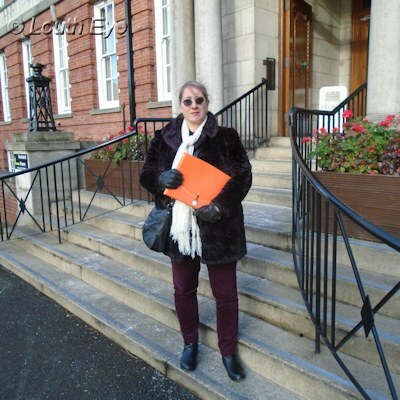 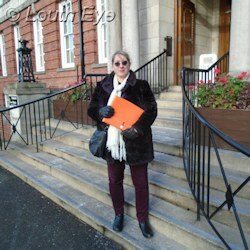 Handing in the petition to resurface St Bernards Avenue to the County Council at their offices in Lincoln. Ellen Wright holds a banner in support of Louth Hospital before the NHS Uprising march. 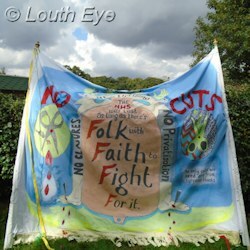 Jayne Cooper created this banner for the NHS Uprising. 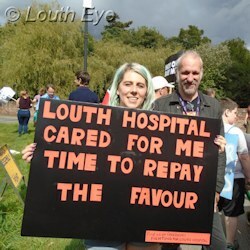 Some of the crowd that assembled before the march through Louth in support of County Hospital Louth. 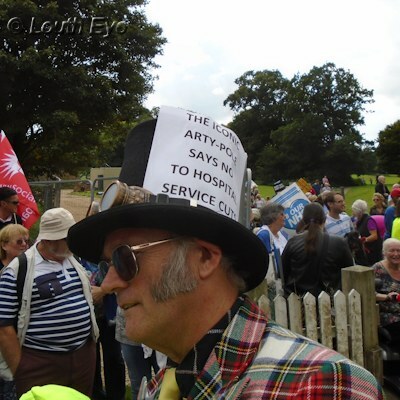 The Iconic Arty Pole, aka Peter Hill, says no to hospital service cuts at the NHS Uprising. 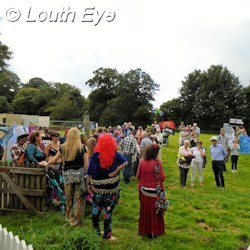 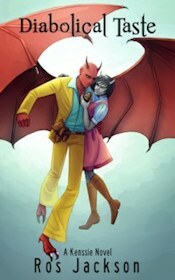 Click here for some of the most recent pictures featured on Louth Eye.